The GVC-18VAC delivers incredible dry steam cleaning power, with the convenience of an integrated vacuum for wet pickup and extraction. Plus, it includes a UV germicidal light system for removing bacteria before exhausting air. Customize the steam and vacuuming power to the ideal setting for your steam cleaning job. 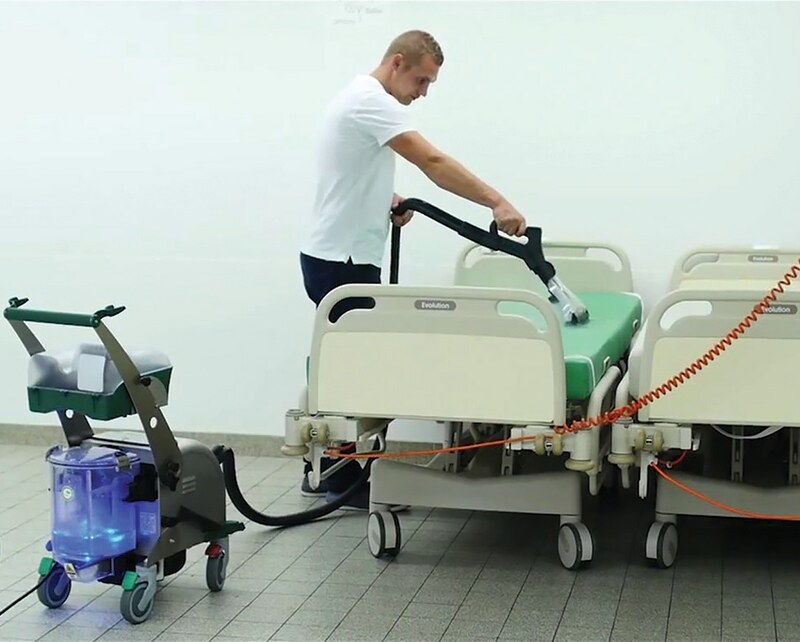 You have the ability to clean and sanitize almost any surface in healthcare, schools, facilities and more. 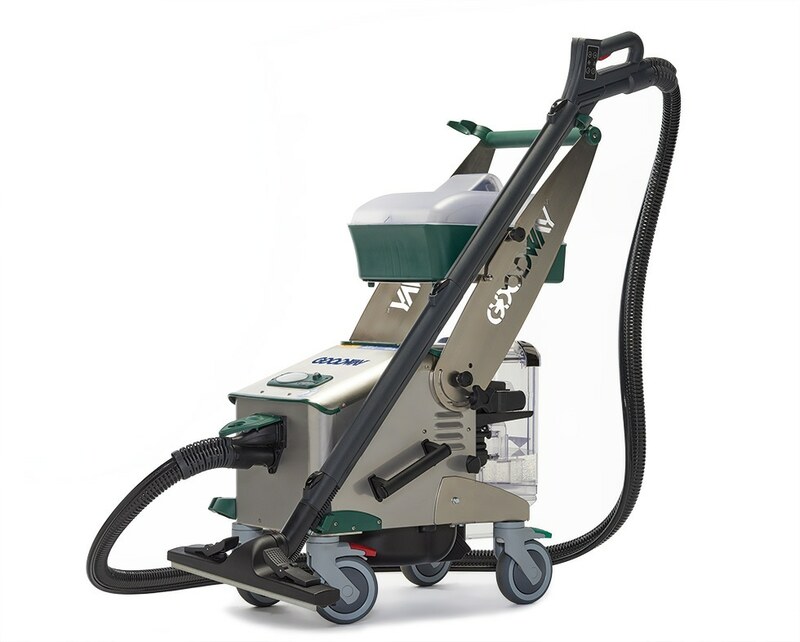 Ideal for high traffic areas, the GVC-18VAC provides quick and effective cleaning. The GVC-18VAC is also environmentally friendly. As a result of the steam pressure, the GVC-18VAC minimizes water consumption and cleans with hi-temp steam- no harsh chemicals needed! The built-in vacuum system utilizes a unique UV-C germicidal light to kill collected bacteria before exhausting purified clean air. GVC-18VAC Steam Cleaner with vacuum, 115 V, 50/60 Hz with a 10' hose and two-piece extension. Included accessory kit contents: 17 3/4 “, 9 1/2” and 5 3/4 “ floor tools with removable brushes and scrapers. Also comes with a triangular nozzle with removable brushes, four poles for cleaning stains, four small round brushes, a large brush round, a brush for corners, two flat suckers plastic and a three-jet nozzle.